TLC is planning a week-long celebration of Mother’s Day, with special episodes of 19 Kids and Counting around the birth of Jill Duggar’s baby, plus much more. While Jill Duggar is currently overdue and ready to have her baby any second, fans will have to wait a little while after “baby Dilly” (as his parents have nicknamed him) arrives to see his birth on TV. TLC has announced that the episode featuring Jill’s delivery will be part of their week-long Mother of All Weeks special celebration around Mother’s Day. The network will honor moms with seven full days of programming, including special episodes of their popular series, plus new series and specials. Here’s what the network has planned. Sunday, May 3 features a special episode of Long Island Medium that will show clips from past episodes and some of the most emotional readings involving moms. Non-believers may have a hard time getting into the show or the emotions, but Theresa Caputo is still pretty darn entertaining. Monday, May 4 will take a look back at all the 19 Kids and Counting births (minus Jill’s new baby, of course) in a special episode. There have been previous episodes that have done this before, but it’s possible some new information will be revealed about each of the Duggar’s 19 bundles of joy. Tuesday, May 5 will finally see the appearance of Jill’s baby with a two-hour special episode of 19 Kids and Counting. 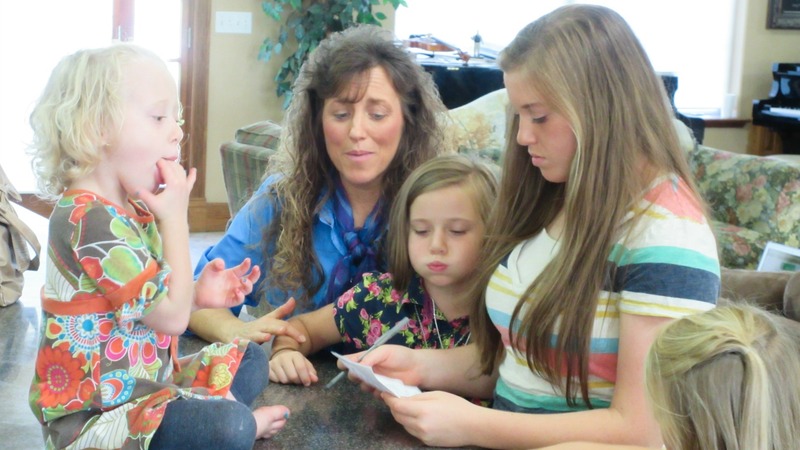 The episode will feature the best motherly advice Michelle Duggar has given her children, as well as the birth of Jill’s baby boy. Love ’em or hate ’em, you won’t want to miss it. On the same night, TLC will premiere The Willis Family. This new series follows a family that sounds a lot like the Duggars, with 14 children of their own. But that’s where the similarities seem to end. The Willises have a musical career that takes them on the road, they play upbeat Irish tunes, dance, and the girls even wear jeans. This could be a good choice for people who are interested in watching a big family but aren’t interested in the conservative views of the Duggars. Wednesday, May 6 will see the premiere of I Still Didn’t Know I Was Pregnant. The series is like the original, but with the new twist of featuring mothers who didn’t realize they were pregnant for a second time. Finding out how it’s possible to miss a second pregnancy could be interesting for some. Thursday, May 7 will feature new episodes of Outrageous Births: Tales from the Crib. The show title sounds like something neither mothers nor children should watch for fear of nightmares, but is really just the story of what happens when women go into labor in unexpected places. Friday, May 8 launches a whole new type of series for the network. What She Said features female comics sharing hysterical and no-holds-barred opinions about marriage and being moms. Funny ladies sharing funny stories is always a great time, whether you’re a mother or a wife or neither. Saturday, May 9 TLC takes ridiculous to a new level with Labor Games. Hosts ambush unsuspecting couples in the delivery room and force them to answer questions while mom is going through labor. Forget about the contractions, this series sounds painful enough. Sunday, May 10 is Mother’s Day and will be a day full of specials, including three new episodes of Kate Plus 8, Leah Remini: It’s All Relative and My Big Fat Fabulous Life. Both Leah Remini and Whitney Thore have hilarious moms (go, Babs! ), so those episodes could be entertaining. As for Kate Gosselin, well, maybe not so much with the funny herself, but her kids are usually good for a few laughs. Overall, it looks like Sunday could be fun day of binge-watching for moms and non-moms alike. What show are you most looking forward to seeing during TLC’s Mother of All Weeks?